For our 4th Annual Lecture, SPERI is delighted and privileged to welcome Lord Robert Skidelsky, Life Peer in the House of Lords and Emeritus Professor of Political Economy at the University of Warwick. The lecture will take place in the Octagon on Tuesday 19th May at 6pm. This event is a public lecture, free of charge and open to all. However, places should be pre-booked using the online booking form available by clicking here. 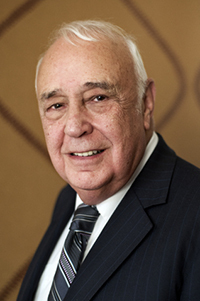 Robert Skidelsky was born in Manchuria, of British parents with Russian ancestry. He read history at Oxford and became a research fellow of Nuffield College. In 1978 he was appointed to a Chair at the University of Warwick and remained there as Professor of Political Economy until his retirement. He is also currently Andrew D. White Professor-at-Large at Cornell University. Robert Skidelsky is the author of many books, but is renowned for his epic and acclaimed three-volume biography of John Maynard Keynes, published over the period from 1983 to 2000. The books won several prizes. More recently in 2009, amidst the current crisis, he published Keynes: The Return of the Master. His latest book, published in 2012 and entitled How Much is Enough? : Money and the Good Life, was co-authored with his son Edward. He continues to write regularly in newspapers and magazines all over the world. His Annual SPERI lecture is thus a unique opportunity to hear this renowned academic dissect the recent political economic trajectory of Britain and other parts of Europe.